The Motor Lead Extension is a “special power cable extending from the pothead on the motor to above the end of the pump where it connects with the power cable (API RP 11S4). A low-profile cable (flat configuration) is usually needed in this area due to limited clearance between the pump housing and the well casing”. It is recommended to select a length at least 6 ft. (1.8 m) longer than the upper end of the pump. The length of MLE has to be select in a way to avoid a splice over a tubing collar. Doing so could allow the cable to catch on the wellbore casing and damage the equipment. The motor lead extension operates under extremely adverse conditions. This is due to the restricted size, the high mechanical stresses, and the high temperatures involved. 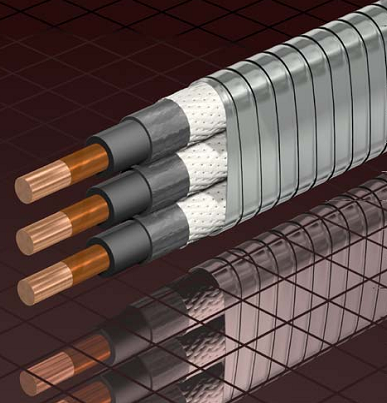 Because of these effects, motor lead extensions are usually replaced every time a cable is reused. There are generally three types of potheads: plug in, tape in and direct connect. Each has advantages and disadvantages. Tagged direct connect, direct connect pothead, electrical submersible pump, ESP, ESP motor, ESP power cable, MLE, Motor Lead Extension, plug in, plug in pothead, Pothead, tape in, tape in pothead. Bookmark the permalink.